Ten of the UK’s most innovative tech start-ups have been brought together with the launch of London Midland’s new innovation centre. Based at the iCentrum on Birmingham’s Aston Science Park, the £250,000 London Midlands Labs project will bring about a “new era” for improving rail journeys, according to the TOC, by developing new solutions. From a rapid response passenger compensation platform to a sensory messaging service for the hearing impaired and a queuing avoidance app, the companies are all working towards bettering passengers’ rail experience. 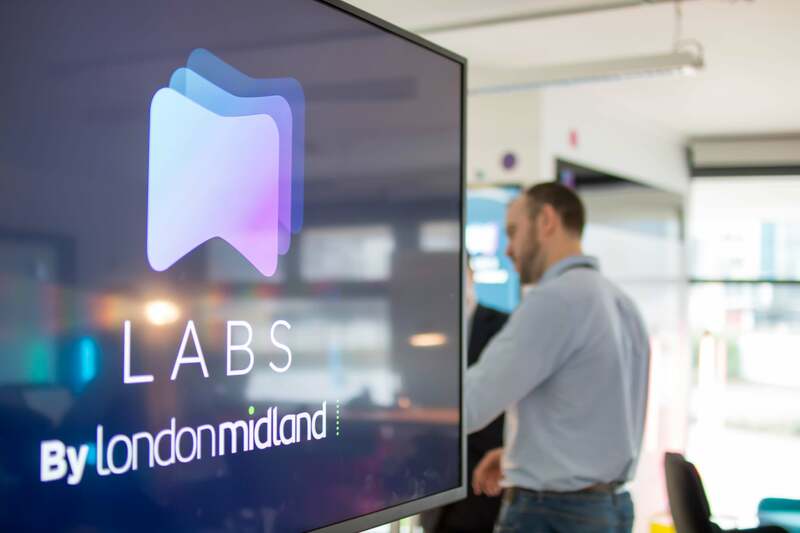 Despite only being officially launched yesterday (April 12) six of the 10 start-ups from the centre have already had their ideas taken forward by London Midland. The TOC’s managing director Patrick Verwer said: “Today marks a new era for improving rail journeys. “At London Midland we are committed to making travel simple; creating simply better journeys for everyone. Technology has a massive part to play in making this happen. The 10 companies based at London Midland’s innovation centre had to go through a selection process before being accepted. More than 100 initially applied. Based at the centre for six months, the group will take part in a structured scheme and benefit from free workshop space, ongoing mentoring, access to London Midland’s analytics and travel data and have access to technology entrepreneurs. All of this will be available free of charge. The programme concludes with a demonstration day, where Labs participants will be given the opportunity to present their progress and pitch their ideas to an audience of investors, London Midland stakeholders and existing suppliers, media figures and key influencers from the start-up community.